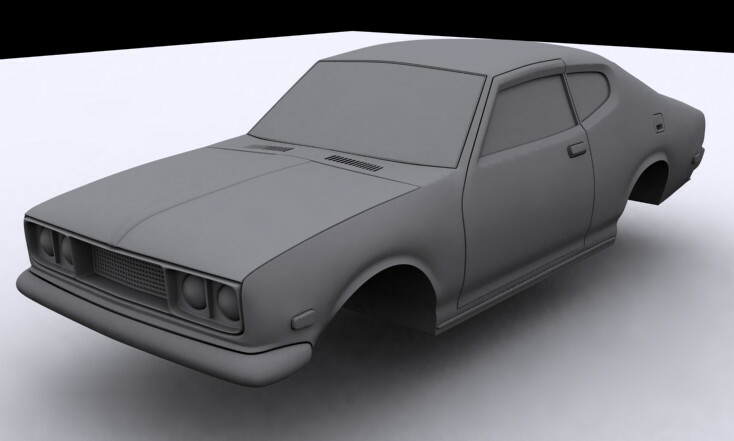 When you’re just about finished a model in 3ds max, sometimes a quick clay rendering is needed. You might need an early prototype for the model. A clay rendering is very fast (especially compared to Mental Ray or V-Ray, which can take a very long time to render). To set a clay model for rendering, follow the steps below (depending on your version of 3ds max, things might look a bit different). Set all model objects /elements to Standard grey. Set the render to Default Scanline Renderer. Set the Light Tracer to active. Set <no exposure control> for the output. Place a white plane below the model. Add a Skylight to the scene.